The opioid epidemic is destroying communities and families across America. Addressing a crisis of this scope and magnitude requires everyone who has a stake to be part of the solution, including the business community. 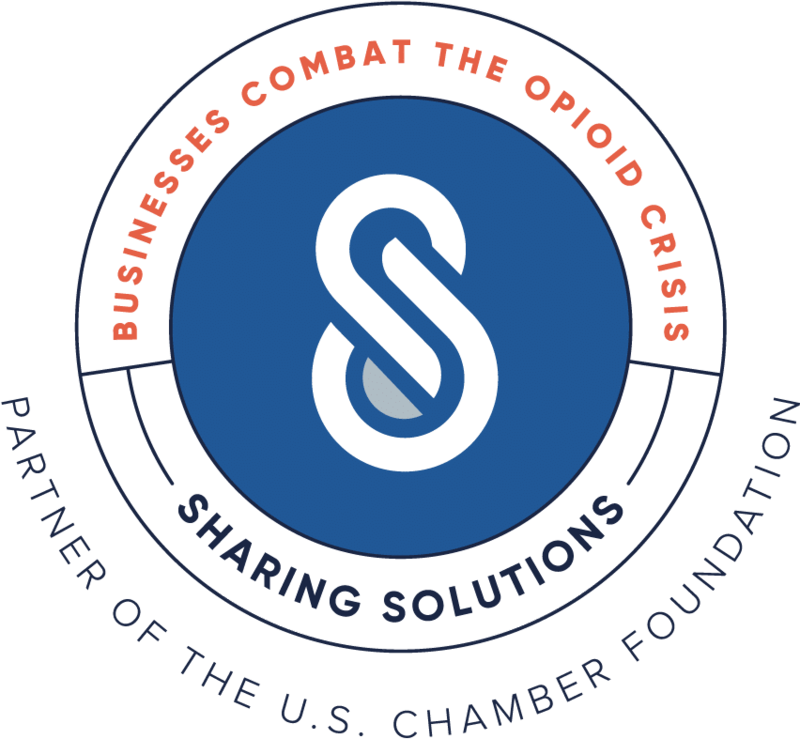 Harrisburg Regional Chamber & CREDC is proud to partner with the U.S. Chamber of Commerce Foundation on the launch of the new Sharing Solutions resource hub designed to empower businesses to help combat the opioid crisis. We hope that you will take the time to explore the site and benefit from the information provided. Sharing Solutions was created by the U.S. Chamber of Commerce Foundation to provide employer resources and showcase innovative solutions to the opioid crisis. Sharing Solutions works to identify resource needs and then aggregate, synthesize, and feature resources in an accessible way for the people who need them most. Sharing Solutions offers employer and employee resources and showcases innovative solutions to address the opioid crisis. Resources include – education and prevention techniques, how to create a drug free workplace, how to work with benefit providers and more. We believe that business is part of the solution. Businesses are a vehicle to help solve this crisis. Together, we can make a difference and save lives. Drug Free Workplace PA – A grant-funded program that provides tools, resources and expertise to employers interested in making their business drug-free at no cost. PA Department of Health – More data about the opioid epidemic in Pennsylvania. PA Stop – A commonwealth protection alliance campaign to stop opiate abuse. South Central PA Opioid Awareness Coalition – Bringing together health care providers and workers to address the opioid addiction and heroin crises through awareness, education and action.